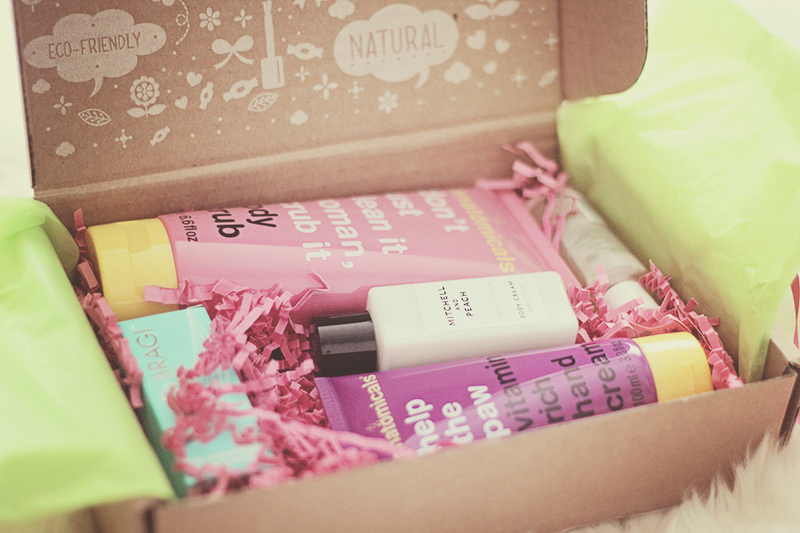 Don't groan, I know what you are thinking, 'Another beauty box!?' but I agreed to show you Beauteco Box* because just like the majority I know beauty boxes can end up looking recycled and your upset with what you get. So what if you have a box that gives you just what YOU want? 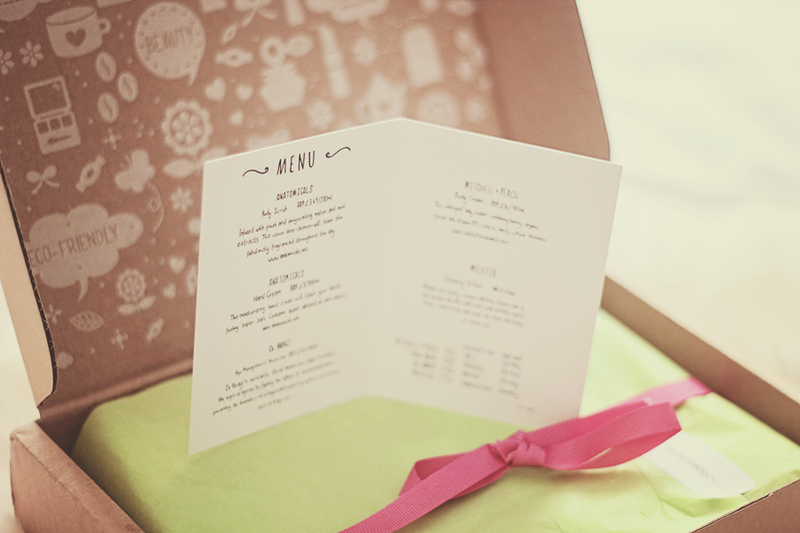 Beauteco Box comes with three menus monthly, each menu has 5 products on them. I did notice that across the three menus most of the products were the same but would always have a few different products. This way the customer gets what they want and know that they are going to receive it. Leaving you less disappointed. 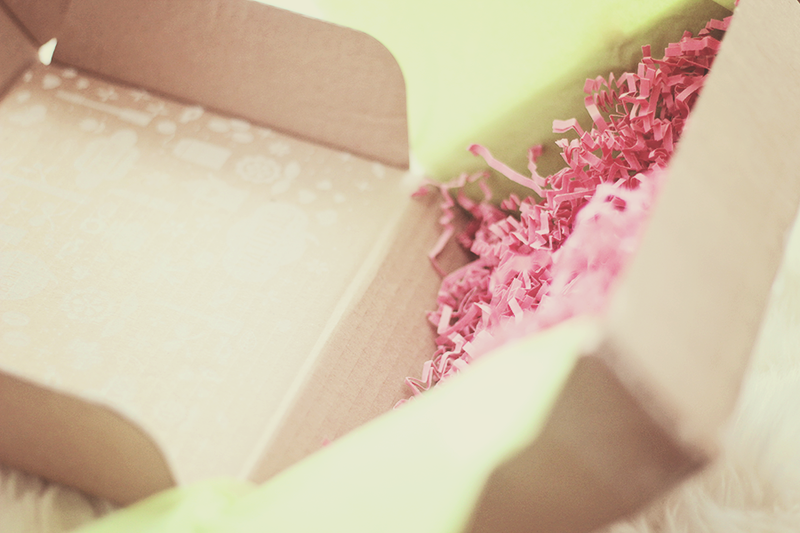 Beauteco Box will include 1 or 2 star products and 3 or 4 trial size samples. There will be limited monthly supplies, so once they are gone, it's gone forever!! The box that it's packaged in, is the box itself unlike other boxes that have boxes inside of boxes or little drawstring bags. 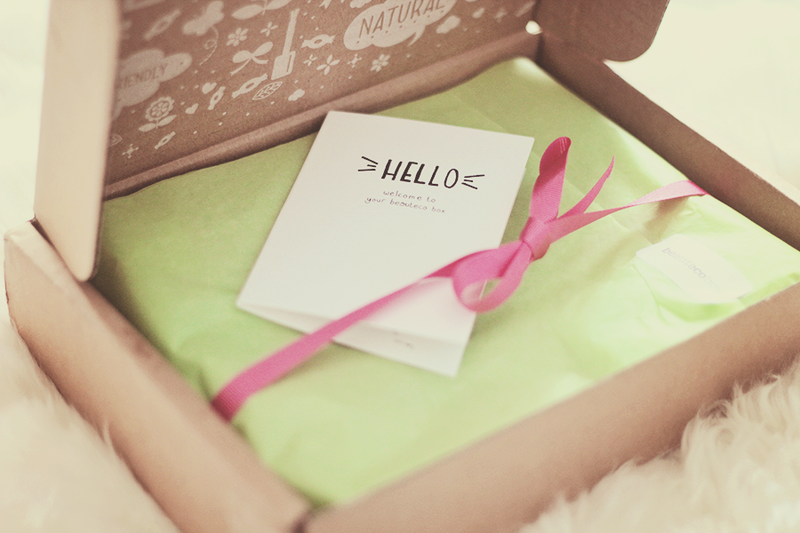 Beauteco has a 100% recyclable box that uses as little of material as possible while avoiding high carbon materials. leave skin fabulously fragranced throughout the day. Anatomicals mouturising hand cream will leave your hands feeling super soft. Contains sweet almond oil and vitamin E.
This indulgent body cream, containing honey, organic cocoa and Vitamin B5, rubs in easily, without stickiness. Dr Bragi’s versatile facial moisturiser helps to reduce the signs of ageing by fighting the effects of environmental stress, preventing the breakdown of collagen and supporting optimal cell function. Melvita’s rich, creamy cleanser effectively removes make-­‐up and impurities with ultra-­‐ gentle action whilst preventing dryness. It has a delicious fresh floral scent with delicate hints of honey. It's a lot easier choosing what you want. Products you know that you'll use and hopefully benefit from. I like the fact the boxes are eco-friendly, you feel that you are doing your part. This is definitely a box I myself would purchase as it isn't much of a gamble. Visit Beauteco Box website to find out more and subscribe. Beauteco Box more up your street? Share your views on beauty boxes with me below!